The Colonists is a cute robot city management game developed by Codebyfire, a one man UK based studio. As some of you readers may know, I love the ambition that one man development studios have. This is Richard Wallis', debut game inspired by titles like The Settlers and Anno. 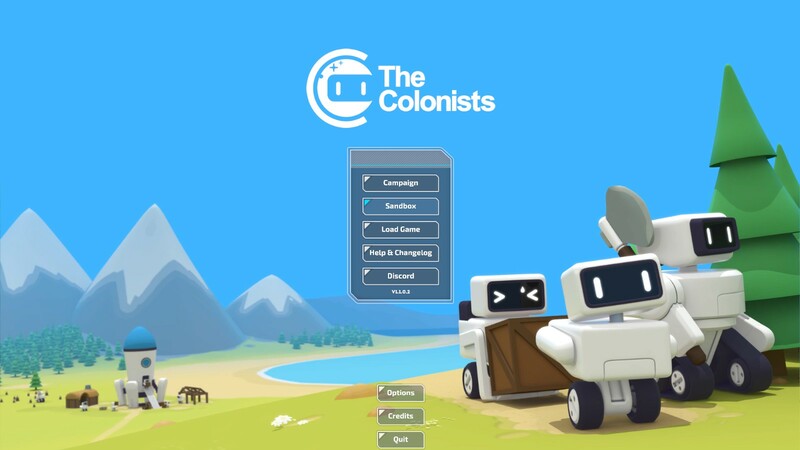 For a first attempt, I think The Colonists is a fantastic start of Codebyfire's career. The concept of this game is easy to grasp and is quite relaxing to play. I had an enjoyable time with this title despite the questions I have and the distinct lack of complexity. 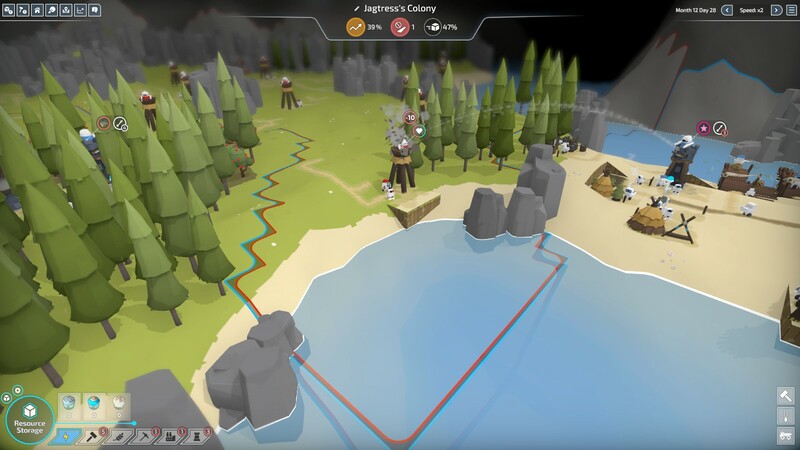 Even still, The Colonists is visually stunning and is designed for a broad age range. 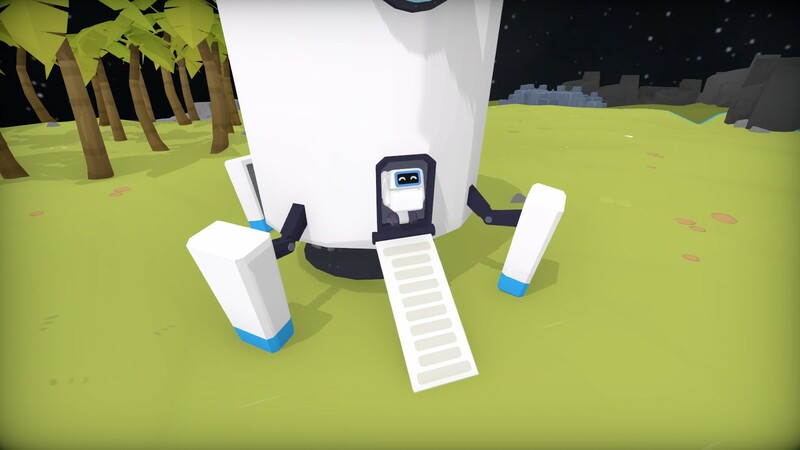 While this game is not Surviving Mars level of complexity, I immediately thought of it because the robots have to start a sustainable colony for humans to survive. Although, I'm not sure that the game ever gets to the point of having human life on the planet, but for a city builder, this game doesn't need to do that. So, my overall first impressions are good. Right off the bat, players are transported to new locations by way of a space ship. This ship has the equivalent of a printing press or a replicator because it constantly produces an equal amount of logs and energy for the robots, though this can be altered. Another reason I believe it to have a replicator of some kind is because each robot has an info panel that says, “carrybot Ashley was printed 4 months and 10 days ago.” This lends itself to the notion that there is some kind of printing technology, regardless of if we call it a replicator, printing press, or a 3D printer. Anyways, by having the ship print off endless amounts of energy and logs, players will never run out of base resources. This is an interesting concept, which is to give players a game that doesn't necessarily have a fail condition. Often, city management games of the Paradox Interactive variety have ways to 'lose.' The Colonists is not like that at all which means, to me, that it is meant for new players of the genre. Another notable difference between The Colonists and other games in the same genre is that it does not use a currency system. Because of this, I find that this game is much too easy. It's not just because of how it is presented, but because I'm accustomed to games like Cities: Skylines which requires much more strategy. In this game, the robots aren't striving for power, they are simply assigned tasks and they complete them. In terms of The Colonists' strategy elements, it's important to plan out your road placement, because the roads have a finite distance they can span. By finite, I mean between four squares and six square. Also, roads can only connect to each other at posts. It is not possible to place a road down independently. So, it is quite easy to screw over your production if supplies are stuck at a road point! One more thing about the roads in this game, if players are rapidly expanding into other areas of the map for supplies, there is a maximum distance they can go from the roads (like an area of effect). It means that players have to use roads, instead of the paths, to expand the far reaches of the map or else the bots won't have the energy to get there. There are different types of bots that perform different functions in the game. At the beginning, players see carrybots and stackbots. Stackbots function exactly as one would expect, which is to stack materials. Carrybots are the ones that transport materials to different buildings. There are others types of bots like lumberbots whose function is to chop down trees. Each bot has its function, but it's obvious that only certain bots can step off of the paths whereas carrybots are bound to them. In the campaign, players are focused on fulfilling the mission goals of the map in order to progress. And like most city management games, players must explore the area for resources because there is a fog of war mechanic. Expanding territory is done through building watchtowers. After playing through the last map in the sandbox mode, I find the watchtowers to be somewhat annoying. It seems that they have to be a certain number of squares apart before another can be placed. 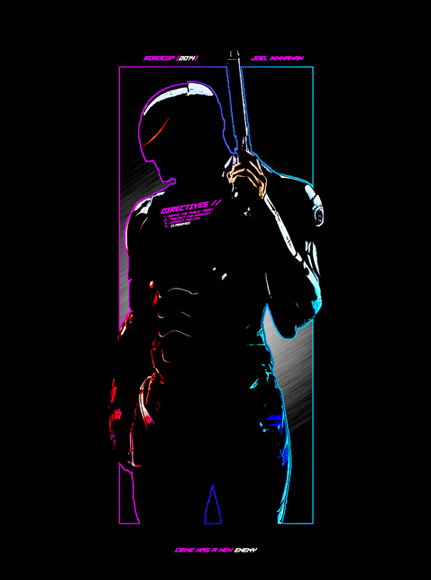 Also, it can put players at a strategic disadvantage against the computer when entering combat situations. While on the topic of combat in this game, I found it to be unnecessary because the AI isn't intelligent, but that's not the only reason I say that. The upgraded watchtowers auto-fire at other towers in range. What ends up happening is players will end up with a ton of upgraded watchtowers with no purpose since the opponent towers will end up being too far away. And if players take over an enemy watchtower, they gain that territory and burn down every structure built by the AI. Also, once an enemy tower is taken over, the tower has to be repaired, but it'll only repair to a level one watchtower without weapons. So, that is part of what makes the combat section in this game not worthwhile. Also on the topic of combat, each tower comes equipped with bots that will repair damaged towers. While I know that being able to combat an AI opponent is a fun feature to add, I found there is no point in having a combat mechanic unless there is an ability to adjust the AI rating. Even at that, players start with a distinct disadvantage on that last map. Right now, players don't need to get up to anything higher than level two research to access arrows. Once you are able to take enough of the computer's towers, the AI basically rolls over and dies. As a final point about the combat, once I reached the point of defeating all the enemy watchtowers and buildings, I found there to be no win screen! The challenge of quickly expanding across the desert lands to get food sources which were close to the enemy base was very unsatisfying. That meant that the time I invested in playing against the AI went to waste and this is ultimately the reason that has spawned my dislike of the combat in The Colonists. Graphically, this game looks fantastic. It's not pixelated like some other indie games, but it has an animated style that I appreciate. Its graphics style adds to the laid back atmosphere of the sort of city management game that it is. 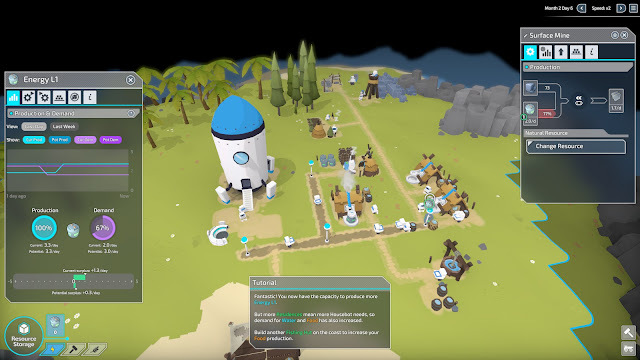 The Colonists has several menus that players can use to track what materials they need to build the different structures. It has a map overview and several useful graphs built in to the UI. These additions to the game help players to keep track of various issues in the game. There are menus that players can use to set the priority of buildings higher or lower. At the top of the screen is an information panel that tells players their robots productivity rate, blocked roads, and resources delivered (IE: the efficiency of the colony). 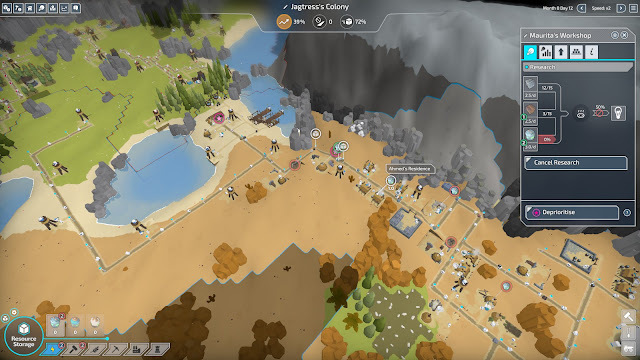 On the bottom left of the screen, there are indicators which show players what materials are needed to sustain their colony. It has a cog wheel that, when toggled, will show the potential surplus of materials. Another set of menus is on the top left of the screen and it shows each type of structure built and how many there are. This is particularly useful to use when players have multiple islands accessed by boats. With this menu, it is quite easy to click on a particular building so that the camera pans to it, making colony management a breeze. The build buttons are all on the bottom right of the screen and each category has a hotkey attached to it. For example, if a player needs to build the Fletcher building, they could press 6 twice (because the Fletcher is the second building in the list.) Although, keep an eye on which button is lit up, because if players click on a category, the game remembers the previous building created! Overall, the UI functionality in this game is great. It gives players all the information they could need. Many city management games could easily clutter player screens with menus and popups, an element that I dislike. The Colonists, while it has a ton of menus, does not take over a players screen. The game is very easy to get sucked into but it lacks a lot of depth after a few hours of play. In my opinion, it is better to play the campaign than the sandbox mode because there are no objectives to complete in it. Adding a difficulty level to maps, an AI scaling system, or even a more fleshed out combat system would definitely help this title, in my opinion. Right now, while this game is Codebyfire's first title, The Colonists could do a few things to be a better city management entry level game. With all of that said, I think this is a solid start for the developer and for players who aren't familiar with this style of game. 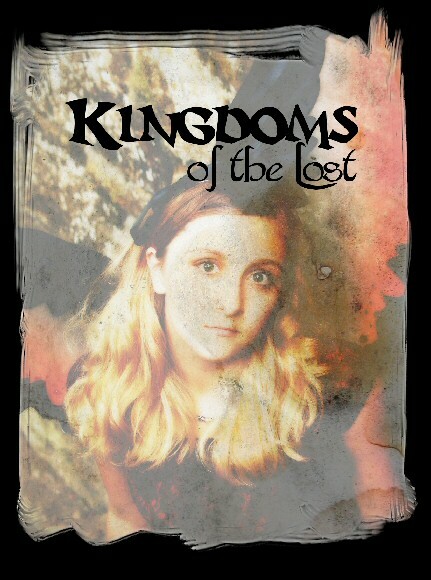 It's suitable for a wide age range and is great as a title to play after a tough day at school or work. 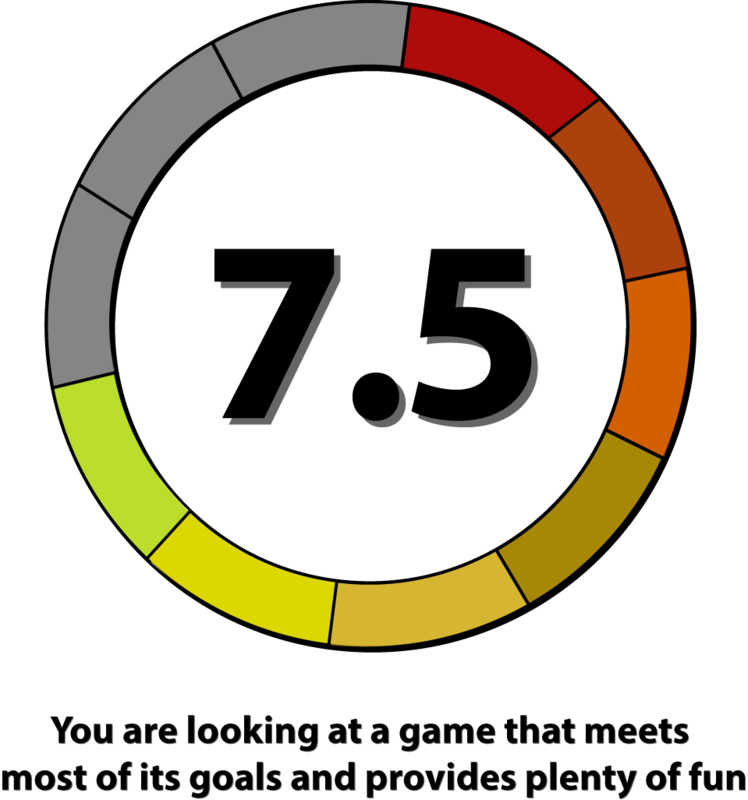 As such, my final rating for this game is 7.5 out of 10.